Why the cost of a space launch vehicle has little if any relation to the launch price. The Holy Grail of 'cheap access to space' has been a mantra since the dawn of the space age. 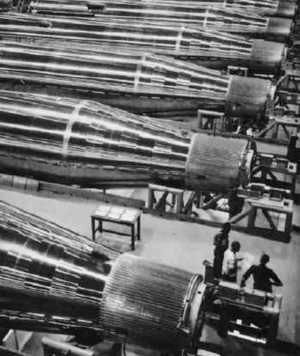 Von Braun's first conceptual three-stage space launcher was fully reusable, and was expected to be recycled for launch in only 11 days. Over fifty years later the US space shuttle represented the only attempt to even come close to achieving this vision. Yet it turned out to be even more expensive than expendable launchers and is being abandoned. What went wrong? Will the new generation of launchers be any cheaper? Engineers, of course, are not accountants. The very fundamentals cause confusion. Cost itself is very different from price. And the way cost is calculated can vary vastly according to which system of accounting rules and tricks are applied - a field which to engineers seems so much incomprehensible voodoo mumbo-jumbo. The many articles written on space launch costs in the 1960's fairly glow with what might seem na�vet� - or in retrospect, inadvertent hard-nosed realism. Price is either the amount of money the customer pays to the seller for a booster as it goes out the plant door ("flyaway price", harking back to aircraft production), or the amount charged a customer for a turnkey launch service. The price the customer pays can be very different from the actual cost to build the booster or provide the launch service. The price, for a commercial article, is set by the market. The seller cannot charge a higher price than that offered by his competitors for a launch vehicle of the same capability and reliability, or no one will have any reason to buy his product. The cost of actually producing the product, in a commercial market, has very little to do with the price for the article. Consider the case of a contemporary commercial airliner (A380 or 787) or launch vehicle (Atlas V or Delta IV). Nonrecurring costs for a new design or model, before the first article even rolls out, runs in the billions - $10 billion for the new airliners, $1 to $2 billion for the evolved launch vehicles. This cost includes design engineering, qualification test of components, flight test, production tooling and software, development and certification of ground test equipment, construction or modification of launch or airfield facilities, government certification costs, and on and on. For a commercial product, most of these costs are absorbed by the company. The cash needed to pay these costs comes out of the net cash flow of the entire company (the difference between cash received from customers for all products sold and cash paid out to operate the company), Loans may have to be taken out to cover any shortfall. Another method, used especially by new start-ups, is to raise cash by selling stock to investors. When the first vehicle rolls off the production line, there is still a long way to go until it earns money. The cost to build the first unit will be very high, but will decline as production gears up due to two effects - the learning curve and the production rate. Virtually anything built declines in cost as more units of it are built - something traditionally called the learning curve. In building the first articles, many mistakes are made and lessons are learned. As production goes on, individual workers, engineers, and managers identify better or more efficient ways to put the vehicle together. Companies typically have monetary incentive programs that encouraged employees to identify these improvements and have them used company-wide. The learning curve was first quantified by the Rand Corporation in the 1950's based on studies of World War II and Korean War aircraft - production involving thousands of units. A '90% curve' meant that the second aircraft would take 90% of the labor hours of the first; the fourth, 90% of the second; the eighth, 90% of the fourth; and so on until it neared an asymptotic value beyond which further improvement became difficult or impossible. Rand found empirically that learning curves would vary between 80% and 90% for various aircraft and manufacturers. Furthermore, the more of an item that are built in a given time period - the production rate - also influences cost. There is a certain irreducible minimum cost to produce anything, no matter what the rate - workers, factory space, tooling, launch facilities. A production line for a particular vehicle, using unique assembly jigs, takes a certain minimum amount of floor, shop, and warehousing space in the factory. The same amount is required whether one vehicle, or 100, are produced a year (up to the maximum production rate supported by a three-shift operation on a particular line and its tooling and jigs). This means that economies are achieved until the production rate matches the maximum facility and tooling capacity The more units these irreducible minimum costs are spread over, the lower the cost per unit. A large part of an aerospace vehicle is often subcontracted. But the component manufacturers' costs go down as well over time, following the same principles of learning curve and production rate. Consider a commercial aircraft or booster manufacturer selling a new model in a competitive market. The competitor is already selling vehicles that had their nonrecurring costs paid or written off years ago, and are way down the learning curve. The new model, with better technology, will presumably be inherently cheaper to produce and operate than its older competitors. But the manufacturer of the new item is at the top of the learning curve, and building at lower production rates at the beginning. Even though the new model will eventually cost less to produce and operate, it will initially cost much more to build then the price the competing vehicles are being sold for. But the new manufacturer cannot sell the new model unless the price from the very first article is comparable to that of their competitors. Therefore, even though Boeing may spend $10 billion to develop the 787, and the first production article may cost $350 million, they cannot expect to sell any unless the price to the customer is $140 million. So the company must at first sell at a price well below cost. As the years go by, the vehicle goes down the learning curve, and the production rate (hopefully) increases. The unit production costs drop. At some point, the production cost finally equals the selling price - the 'break even point'. The price remains the same in the competitive market, but the cost continues to drop. Now the aircraft or booster is finally making money for the manufacturer. Perhaps at some point the selling price is 50% greater than the cost to build the aircraft. This difference between cash received for each vehicle, and cash paid out to construct it, is used to pay the non-recurring costs of the next generation of vehicles, pay interest or principle on loans, and offset the production cost of other newer models where their production cost still exceeds their selling price. A small remainder may be given to the shareholders as earnings. Logically the enormous nonrecurring costs would also be 'recovered' from the price after the break-even point is reached. Perhaps astoundingly to an engineer, this usually is not the case. Here lies the difference between cash accounting or cash flow, cost accounting, project total cost accounting, and the arcane and complex accounting rules actually used by companies in their annual statements. In a company with a high sales volume and a large number of products, the development cost could have been absorbed ("written off") by the company as it was incurred. This would leave the new production aircraft unencumbered in reaching the break-even point by any need to recover nonrecurring costs. In other methods of cost accounting, the nonrecurring costs may have been identified as sunk costs and linked to future sales of the specific article. If sales don't develop as expected, these costs will be 'written off' as a loss at the time the determination is made to cancel the vehicle or reduce the sales forecast. This is often characterized in financial news programs as "Boeing's earnings took a $3 billion dollar hit in the third quarter due to a write-off of development costs for the�." What this means is that costs that had been incurred (and paid for) years ago, but not written off at the time, have now finally been charged on the company's books. No cash has been lost. No money has changed hands or been moved between bank accounts. Current cash flow has not been affected. This kind of thing drives engineers crazy, leaves the public totally confused, but is the lifeblood of CEO's, the financial markets, and the people that run things. The only hard reality in business is bankruptcy, which comes when you don't have enough cash to pay your bills. This day only comes when total cash received for all sales is less than total cash needed to pay all costs - over the entire company, not just a single product. And that day also only comes when sources of cash besides sales - loans, sales of new stock - are no longer available from the financial markets. The hard reality is that a company can be reporting losses for years and years and never go bankrupt. It can also be reporting profits for years and years, and still go bankrupt. Its all a matter of creative accounting. Part of the nonrecurring cost may have been financed by loans. These would have to be paid back, but again these payments would not necessarily be specifically charged against the model of vehicle they financed. In the sense of understanding the total cost of a product, the initial costs and any finance charges would have to be included. But in reality it may be spread over all corporate products and expenses, and never figure directly or completely in the price of any particular model. The classic method of US government contracting is on the cost basis (even fixed-price government contracts are based on horrendously complex negotiations to predict costs and then pay the contractor a "price", which consists of a formula-based reasonable profit on top of the agreed predicted cost). This means that the government pays the up-front non-recurring costs (design, development, tooling, and logistics) prior to the first production delivery. Then the aircraft are purchased in annual lots, with the cost going down each year only due to the learning curve and production rate. Manufacturers find this governmental insanity very cozy. They take no risk; the government pays the nonrecurring as it goes along, and if it cancels the program later, it is the taxpayers, not the vendors, that are the losers. Government engineering, financial, and quality assurance oversight delays things endlessly and drives up costs by a huge amount, but these huge expenses are anyway covered by the same government as reasonable costs in the quest of assuring that it is not being ripped off. So the cost of a vehicle to the government consists of the production recurring cost only. It is true that Congressmen and Acquisition Experts prattle on endlessly about life cycle costs, program costs, and so on -- but what you've already paid for developing something is irrelevant, gone forever, and has nothing to do with current cost to buy more vehicles. So the cost to the government for a booster, in any particular year after development is completed, is critically dependent on the learning curve and rate. Based on the previously-mentioned Rand studies, the US government took up the learning curve concept and it became an integrated part of government cost calculations and negotiations in the period 1955-1985. The learning curve concept seemed to work well until the mid-1970's, when the computer revolution took hold. Prior to this airframe fabrication costs were a large portion (75%) of the aircraft cost, and these costs were labor-intensive. Airframe components were built up by workers, who riveted together small forged, extruded and hand-finished detail parts. These workers were able to identify better and more efficient ways of putting the components together. But then something strange happened on the Air Force F-15 fighter when it went into production. For the first time numerically-controlled machine tools were used on a large scale. These were computer-controlled multi-axis lathes that could mill out complex aircraft components from cast or forged aluminum shapes. These took the place of the built-up assemblies previously put together by assembly line workers. Theoretically this saved labor hours and cost. But as annual buys of the F-15 came and went, negotiators found the airplane stubbornly would not go down the expected learning curve. Finally the reason was apparent - machines don't learn. In saving assembly labor hours, the companies and government had also removed the learning curve. By the 1990's computer-aided design was coupled with the factory floor and precision laser positioning methods. This resulted in the learning curve in other production areas being further eroded. The other factor in reducing production unit costs is the production rate. As the Twentieth Century went along, the number of military aerospace vehicles produced annually dropped immensely. During World War II, thousands of a particular aircraft or missile model were usually built per year; by the 1950's, hundreds; by the 1960's, dozens; and by the 1990's, only a few. This was a vicious circle, making unit production costs ever higher, which resulted in fewer being purchased, resulting in even fewer being bought, and so on. However even though the maximum rate for each generation of aircraft was lower, the relative production rate still generally went up for new aircraft each year into the program. This meant that the price, even though much higher, still dropped due to economies of scale even if not very much due to the learning curve. The inescapable conclusion is that the price of a commercial aerospace product has no relation to the cost - and the true costs, buried in a morass of accounting tricks, may be unknowable. It would seem that in the case of government-funded development, the nonrecurring costs were clearly identified, but have already been paid off. The per-launch flyaway cost is then simply the actual production cost, plus a reasonable profit, of the aircraft or booster. But there can even be variations here. A major missed expense not included can be government-furnished equipment (engines, some avionics, logistics equipment, spares) that are purchased separately by the government. These are not part of the price negotiated with the manufacturer, and can amount to as much as 40% of the flyaway cost. However taking these into account, the negotiated price should be close to the actual cost - missing only actual costs incurred by the company that cannot be billed according to government cost-accounting regulations (typically certain marketing, research and development costs, and so on). But in the case of launch hardware from Russia, the Ukraine, or China, there is no relationship at all between price and cost. The ex-Communist facilities typically had no cost accounting systems in place. Post-Soviet analysis showed that that the system was actually producing many manufactured goods at a price actually less than the value of the raw materials that went into it - "negative value-added goods". Today there may be better knowledge of costs within these enterprises, but the governments and companies involved have kept them highly secret. The commercial launch industry represents, in the case of Russia and the Ukraine, one of the few manufacturing industries that can earn money from customers outside of the country, and are highly valued for that reason. The products that are being sold were designed and produced in vast quantities during the Cold War, so the only costs consist of manufacturing costs far down the learning curve. The foreign sales, in fact, are all that are keeping parts of the ex-Soviet aerospace industry alive. But all of this is just the cost of buying the rocket (or expendable bits of the rocket in the case of the space shuttle). An even greater amount of the cost may be involved with the launch center, launch range, and preparing the booster and payload for launch. A lot of this is in the budgets of various government agencies and military services, and may even be difficult to break out or reasonably allocate to a particular launch or vehicle. Commercial users are typically charged fees for launch from government facilities, but these are much lower than the government's actual cost of supporting the launch. Part of this is intentional, according to legislation passed by the USA, Russia, China, India, or the EU to encourage sales of their national launch services. Part of this is logical - if the military would have a facility operating even in the absence of any civilian launches, and if the facility or its staff are under-utilized, there is no logic in charging commercial users for a proportional share of the costs of those facilities, only the marginal costs. Then there are the vast unrecovered sunk costs. A major launch center like Cape Canaveral or Baikonur includes hundreds of facilities and a vast infrastructure, built originally under government missile or space programs. Some of these are abandoned, but many are modified or continue in use for later programs. These non-recurring costs were paid long ago, with no intention to recover them by charging future user fees. In a hard-nosed "engineering" analysis, the actual cost of a space launch would include all of the items excluded from the price in the previous discussion. But in the real world all that will count is the price of the launch - the price billed by the manufacturer for the booster or turnkey launch service, plus the fees billed by the government or launch site operator for use of the launch and range facilities, and any additional cost for booster preparation and payload integration operations at the site by other contractors. From this point of view perhaps the only operators in the world that knows the actual cost of their operations are pure launch service providers that also provide the launch platform, like SeaLaunch or Falcon. They charge on a price basis and their actual costs are closely held secrets. Finally one runs into the issue of base costs versus marginal costs per launch. It was this accounting issue that was the death knell for the commercial space shuttle program. An infamous independent study by the Mathematica consultancy was the justification for the decision to go ahead with the shuttle on a cost basis. The study seemed to indicate that the shuttle would operate at 10% the cost of expendable vehicles. But the study made several fundamentally false assumptions. The traffic model, provided by NASA, assumed a ridiculously high launch rate (50 launches per year - not based on a realistic traffic forecast, but on the philosophy that lower cost launch services would lead to more launches of heavier, less costly, and less miniaturized satellites). It assumed that the system would meet the reusability and maintainability goals NASA dreamt of (basically an airline-type operation, with minimum inspections between missions, and engines with a 10-flight life before being pulled for major inspection). But the fatal flaw was that fixed costs were not taken into account. This was the famous Feynman paradox. The shuttle was sold by NASA to the Congress and Administration as featuring an 'airline-like' operations philosophy. But in fact NASA was wedded to the staffing levels, facilities, and practices developed for the Apollo program. This meant that even if no shuttle was launched at all (as occurred 1974-1980, 1985-1987, and 2003-2005) it would still cost NASA $ 3 billion a year to keep the staff on the payroll, maintain the facilities, perform endless engineering and reliability improvement studies on the hardware, maintain the vast manned spaceflight bureaucracy, and on and on. A similar situation existed with the Air Force. The Titan Integrate-Transfer-Launch Facility (LC40/41/42) was built to support 24 Titan 3 launches a year. It never exceeded 5, and after 1999 had dropped to one a year. Yet there was an irreducible base force needed to be kept in place in order to even support one launch. Therefore the price of the originally low-cost Titan 3 or 4 rocketed from $14 million to $432 million over its forty year life - a quadrupling of cost in constant dollar terms. By the end of the program, a booster originally designed to be integrated in three days and launched at a rate of one per month was spending years on the pad while the underworked launch staff fretted endlessly about preparing it for launch. So what is the true cost of a space launch? In truth, it can only be said that the only relevant cost is whatever the payload owner is charged. This may be nothing or relatively little, in the case where government policy is attempting to encourage military or commercial spaceflight. It may reflect the connections a particular contractor has with the government, resulting in low-cost or free use of government facilities. Of course concessionary access to space launch facilities can be more trouble than its worth when dealing with the government, as several space start-ups have discovered when trying to use USAF facilities. A vehicle designed for an austere launch facility. This is a simple pad with a single umbilical connector to the vehicle. The vehicle is rolled out only hours before launch, erected, automatically fuelled, and fired. This technology was pioneered by the Russians in development of their ICBM's; used for their Zenit-2 booster; and taken on by the Atlas V and Delta IV EELV designs. Launch and tracking facilities owned by the launch-service provider (to prevent government intervention taking costs out of control). To date only SeaLaunch and Falcon have had this advantage in the orbital launch business. A high launch rate to ensure full utilization of fixed staff and assets (e.g. full amortization of base costs). This is dependent on the market for launch services and is what is bedeviling the current space launch business, which has overcapacity. The only foreseeable way to achieve this will be a new commercial space paradigm - e.g. tourism. Minimum recurring cost. The ultimate here is a fully- or partially-reusable system, but so far no one has taken development of such a system to a successful conclusion. Inspection, refurbishment, and reuse costs for the shuttle exceeded the cost of just using expendable elements each time. Every attempt to develop reusable launchers (X-30, X-33, X-43, DC-Y, Roton, Kistler, etc) has so far been thwarted by intractable technical problems. So the alternative is a low-cost-to-manufacture expendable system. The Delta IV was a first attempt at this, and the Falcon a more ambitious try. But in general this has also been a technical challenge. So far launch rates for the new designs are not high enough to move them down the learning curve to match the reliability and manufacturing cost of older "more costly" missile-derived launchers (Soyuz, CZ-3, Delta 2). Ariane 4 116 3774 100 Development cost may have included Ariane 1-3 development. Atlas A-F 381 15196 12 68 Development cost and flyaway cost total for Atlas A through F (ICBM's). Launch price for refurbished ICBM's. Atlas I 11 710 102 Development cost for Atlas I/II series. Delta IV Medium+ (5.2) 160 The originally estimated launch price in 1999 was $100 million. Delta IV Medium+ (5.4) 171 The originally estimated launch price in 1999 was $110 million. H-2 7 2846 259 Development cost includes $ 800 million spent on LE-7 engine development. Jupiter 98 590 5 20 Development cost, flyaway cost is for Jupiter IRBM. Navaho G-26 11 5041 35 Development cost is for all versions. Polaris A1-A3 1092 15056 9 Development + flyaway costs for Polaris A-1,-2,-3. R-29 512 1 Launch price for Dnepr. Saturn IB 9 6417 646 J-2 engine development cost included with Saturn V.
Shuttle 116 33617 107 418 Shuttle has high fixed costs and low marginal costs. Cost per mission dependent on rate. Flyaway cost is marginal cost for extra mission. Launch cost is cost per flight at 6 per year. Tier One 1 32 0.08 Privately-funded. Titan 4 22 13600 168 503 Titan IV development contract was $ 15.8 billion, including 40 launch vehicles and 39 launches. Titan 4B 17 158 523 There is little reported difference between the launch cost for the Centaur and IUS upper stage versions.